Dr. Rachel Brown Fowler is a retired Professor Emeritus, College of Education, at University of Montevallo. She holds a Ph.D. in Early Childhood Education from the University of Alabama at Birmingham (1991) and a M.A. in Supervision and Curriculum Development from University of Alabama (1973). Fowler graduated from the University of Alabama in 1969 with a B.A. in Elementary Education. 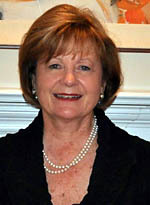 Dr. Fowler served on the members' board of the Birmingham Museum of Art for two terms and with the Outreach Program. She was an Education Scholar for the Alabama Humanities Council and Smithsonian Institution twice with the Museum on Main Street Program. She was invited as a guest speaker at the High Museum of Art, Atlanta, Georgia in association with the exhibit, Dream Makers: American Children’s Book Illustrators. She currently serves on the Advisory Board of the Shelby County Arts Council. In the 1980s Fowler served as past president of Arts and Humanities Council of Shelby County, developer and director of "Art in the Park," and coordinator of art and humanities visitation programs for the schools in Shelby County, AL. As a professor at University of Montevallo, Fowler developed a program with her class, three Shelby County schools and the Birmingham Museum of Art. Throughout the years, Fowler has been involved with numerous civic organizations in Columbiana and Birmingham. As a photographer and printmaker, Fowler has exhibited photographic essays on her parents, My Mother, My Father: Their Hands, Their Home, and Fences in Our Lives: From Birth to Death for Museum on Main Street with the Alabama Humanities Council. Fowler’s art has been shown twice at the juried Telfair Art Fair in Savannah, Georgia and featured in articles in Alabama, Georgia, and South Carolina. Dr. Fowler has lived in Columbiana and Birmingham with her husband, Conrad M. Fowler, Jr., retired attorney. They have two adult children and four grandchildren. Dr. Fowler previously served as Secretary of the Council, Chairman of the Grants Review Committee, and Chairman of the Long-Range Planning Committee. She is currently serving on the Council's Long Range Planning Committee.